Our first night went great.. no issues.. I want to share that we have been very happy with the work that MediStar is providing to our institution in the last month. Being a new account to MediStar, your service and attention to our patients is above and beyond to what we had expereinced with a previous vendor. Thank you to the team at MediStar for a smooth transition, careful attention to our patients, and expressing a great attitude to our associates. We believe that this has set the tone for a successful relationship moving forward. "Please extend my thanks to your staff for the excellent job that they do in taking care of our patients." -Director of Pharmacy, 102-bed hospital in North Carolina. 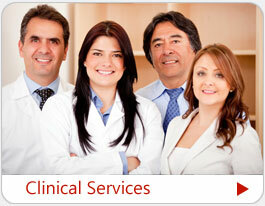 "Medistar I find to be very professional and cooperative. Medistar fills a tremendous need for us (we are not a 24/7 pharmacy and are located in a rural area) for order entry, order review, clinical judgment, and clinical interventions. And I might add do a great job at this. Medistar is helpful and pleasant when I talk with them. Anytime that I need to talk with them to communicate new changes in how we do things, and cover any issue that comes up I could not ask for a better crew and partner to work with." -Assistant Pharmacy Manager, 250-bed hospital in New Mexico. "You've done a great job for our facility. Every pharmacist we talk to is professional and pleasant to talk to and that any issues that come up are resolved immediately. We appreciate all that you've done for us." -Nursing Staff, 89-bed hospital in Arizona. "THANKS for entering the orders for us at night!!! We APPRECIATE YOU ALL! Your staff has been doing an awesome job! -Director of Pharmacy, 99-bed hospital in Florida. 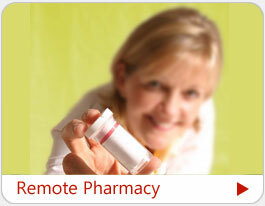 "I appreciate all the effort that you and your staff put into making Remote Pharmacy a success here at our facility." -Director Materials Management, 175-bed hospital in Texas. 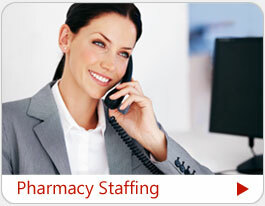 -Pharmacy Manager, 607-bed hospital in Arizona. "Thank you very much for the great service your team has provided"
"We really appreciate what Medistar is doing for us after hours. This has really helped us in the wake of eMAR and Barcode Scanning"
"Things are going well so far. You and your team's work is truely helping us out in the mornings and we really appreciate it"
"Many thanks to you and your staff for being so great! I truely appreciate everything you have done for us." "We the Pharmacy staff are very appreciative. Thank you for the great job you and your ROE team have done this year." "Your staff does a good job for us." " I would like to again thank you and your team for providing great service since last November. We are grateful and thank you for being part of OUR team as well." "Pharmacists, especially Medistar: Thanks for processing the orders in a timely fashion so nursing CAN GET THEIR MEDS!" "I just want to say THANK YOU for getting our Accudose OVERRIDES under control! You are all doing a great job!!! They are down to nothing for the weekend! Keep up the good work and thank you for a job well done! "Our new ID physician, was very complimentary to the pharmacy. He said he has never worked in any hospital where the medicatons are available and given to the patients so promptly. Our average turn around time is under 8 minutes for most meds. The pharmaicsts should be very proud to work in thier department." "Thank you very much for your assistance, you have been really great and I honestly appreciate your willingness to always help." "We are very pleased with MediStar's service. It is a great comfort to know the hospital is being served by qualified personnel when I am not there. The nursing service has commented how professional the pharmacist are when responding to orders. CPOE has changed everyone's duties and made MediStar very valuable to our success." Kudos to Medistar, you guys are appreciated!